Eco-School in Europe is a title awarded by the International Foundation for Environmental Education, represented in Germany by the Deutsche Gesellschaft für Umwelterziehung (DGU). Under the international project Eco-School in Europe - International Agenda 21 School, schools that meet the demands of environmental education and environmentally responsible behaviour are recognised for their achievement. The QBES has developed a concept for this goal and aims to put this concept into practice within the project period. Topics such as energy, water, waste an healthy diet are currently being addressed in an active partnership between the school and parents. For further details of the project, please contact Mrs Heidi Klotz. We did it! 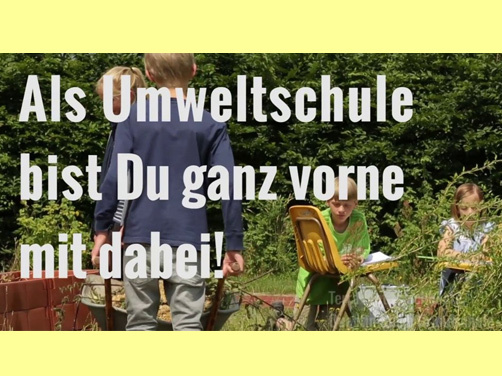 We'll get Umwelt Schule in Europa again! ?The award ceremony is on Monday the 16th.